hello friends! Apologies for the radio silence last week. I’m afraid I was under the weather with a stomach bug. No fun for a cook (or anyone else, I suppose)! Here’s a quick little snack to hold you over until Wednesday’s delivery! I’ll be tucking some of this tasty spread in my lunch with crackers and crudités all week. Parsnips are in the same family as parsley and carrots. They have an inherent sweetness like their carrot cousins and were actually used as a sweetener in Europe before the arrival of cane sugar. Roasting this vegetable emphasizes its sweetness and allows for great caramelization. Apparently this humble root vegetable was held in high esteem by the ancient Romans- Emperor Tiberius accepted tribute from Germany in the form of parsnips! Preheat oven to 350*. On a sheet tray, lightly coat parsnips with oil and sprinkle with salt and thyme. Roast until they begin to get slightly golden brown (about 30 minutes). When parsnips have cooled, combine them with the drained beans, garlic, pecans, and lemon juice/vinegar in a food processor and blend until combined. Slowly add water until the spread reaches a desirable consistency similar to hummus. Give it a taste and add salt if you’d like. Serve with fresh vegetables, crackers, pita, or toast! Fall and winter squash: the gift that keeps on giving… Delicious snacks! Here’s a simple recipe that will keep you well stocked with a healthy snack all week. Use it to dip veggies or toasted pita. While I’ve written this recipe for delicata squash, feel free to use any other squash. Generally, you want to use equal parts squash and chickpeas, but play around! 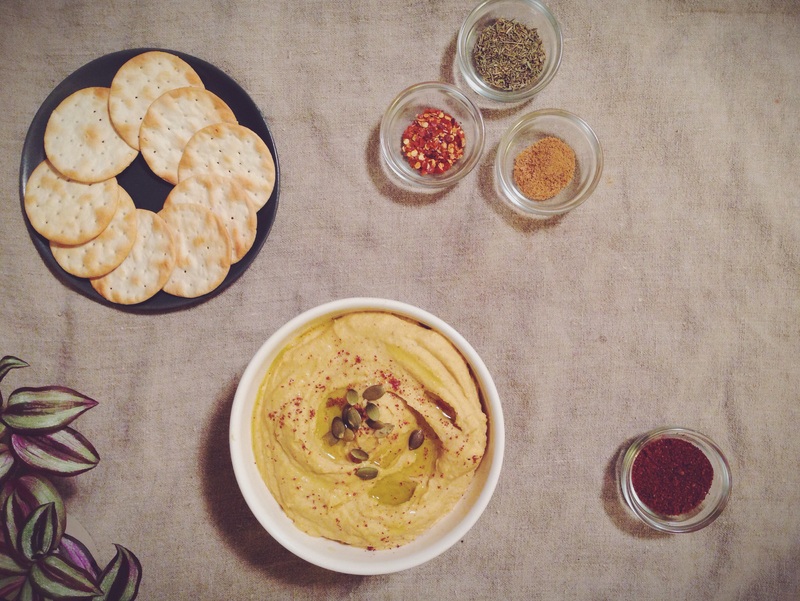 A higher squash ratio will make the hummus a bit sweeter, which may be just what you’re looking for. 1. Preheat the oven to 400*. 2. Remove the stem end and cut the squash in half, lengthwise. Scoop out the seeds with a spoon. Place the squash cut side down on a baking sheet and place in the oven. Allow to cook until the edges start to brown lightly, about 20-25 minutes. A fork should easily puncture the skin. 3. Once the squash has cooled to room temperature use a spoon to scoop the squash out of the skin. Note: the skin of delicata squash is totally edible, if you like your hummus to have more texture, feel free to just cut the delicata into 1 inch cubes. Place the squash into a blender or food processor with the rest of the ingredients and blend until smooth. 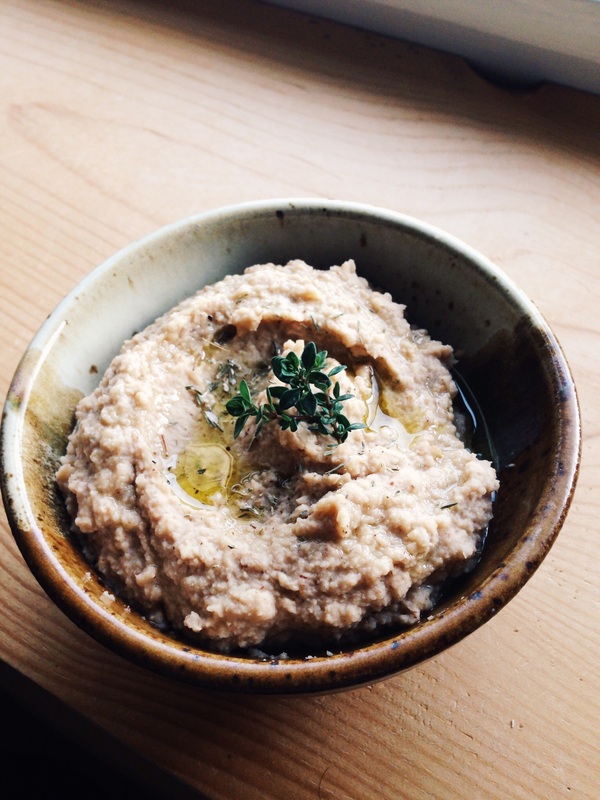 If the hummus is too thick, add a bit of water a teaspoon at a time, until you’re happy with the consistency. 4. Give it a taste and adjust your seasonings as necessary. Enjoy! Hello, I'm Chef Heather Logan.